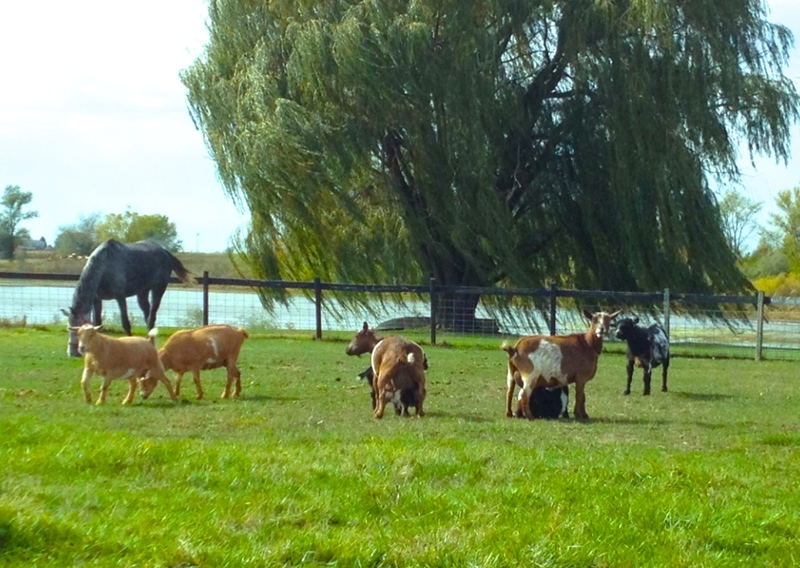 We love our ND goats, and they provide fresh organic goat milk for us, both human and animals. **All goats are under ADGA standard size. Nigerian Goat milk has the highest fat (6-9+%) content; it is the best to make cheeses and kifer. Our entire family enjoys it everyday! Occasionally we do sale our kids to good home. Fresh milk is also available!!! Please send us a note to let us know if you are interested in getting milk weekly, or would like to purchase lovely kids for your family. Our goats have great dairy goat's conformations. They are perfect for 4H projects, and great to be family milk goats or just loving pets. During of the process of forming our farm, we tried hard to find the "best" quality animals we could find. Our animals are our family members. We feed them the healthiest and organic feeds we can get in the midwest area. The ND goats from Rosasharn and Little Tots Estate are ones of the best dwarf dairy goat farms in the nation. Many of them earned dairy milk stars and were ring winners. Some pictures are to show their bloodlines and performances in the show rings. They are sweet, friendly, playful, and loving! They also produce gorgeous and delicious milk everyday. -Certified Organic Kelp from Thorvin for Animals Co. Please Click Here Product Page and find out more information about our organic goat milk lotions and handmade soaps.